The “Burro” open top, elastic pistol magazine pouch. Smaller than the Rifle Burro, the Pistol Burro securely holds any double stack pistol magazine and works well with single stack magazines such as the 1911. In addition, because of its elastic body, the Pistol Burro will wrap around and secure any similar sized item such as; multi-tools, flashlights and RATS Tourniquets. For CAT and SWAT Tourniquets and pepper spray, we recommend TQ Burro. Yet because of the curved Kydex inserts, most items can be re-inserted easily with one hand. The Burro will securely hold a fully loaded magazine while upside down and shaken. Increase the flexibility of your kit by adding a pouch that is versatile, durable and light weight. Includes Onewrap loops for belt mounting. Using MALICE clips (NOT INCLUDED), the Burro can be attached to PALS webbing or any belt up to 2″. With the MALICE clips removed, the Burro can be used with various belt adapters such as the G-Code. When the magazine is removed, the Burro lays relatively flat for a low profile. 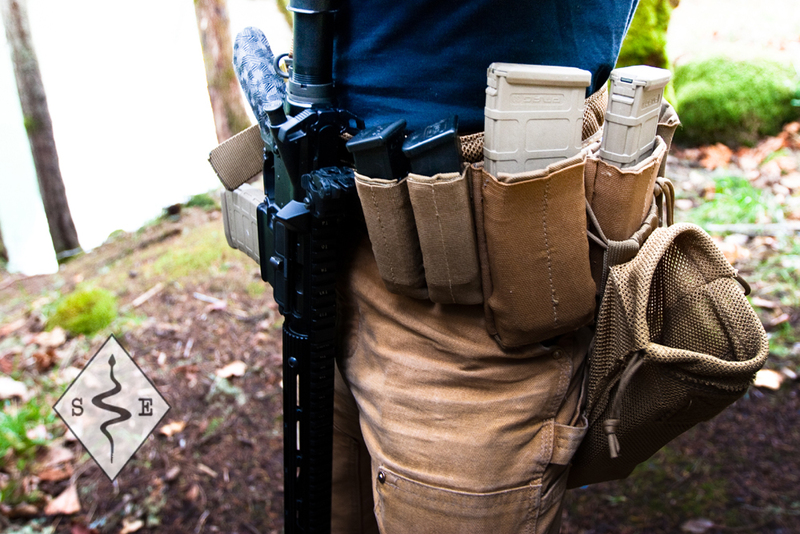 Put a couple Burros on the strong side of your gun belt to keep vital gear handy. The Burro is an excellent pouch that is adaptable to a variety of loadouts. The Burro pistol magazine pouch works great with high capacity mags like the Glock 22 round .40 cal, and the 33 round 9mm. 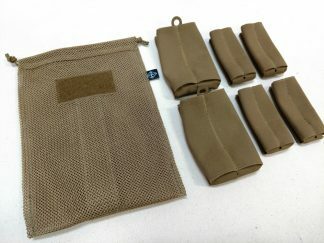 Available as a single pouch in Multicam, Coyote Brown, Ranger Green and Black. Burros ship in 1 to 2 weeks, depending on inventory.